Today purchasing a good smartphone have become a tricky task. With the availability of lots of options, it has become a really confusing task to select a top of the box smartphone. From Apple to Samsung, there are lots of options available in the market offering great specifications. 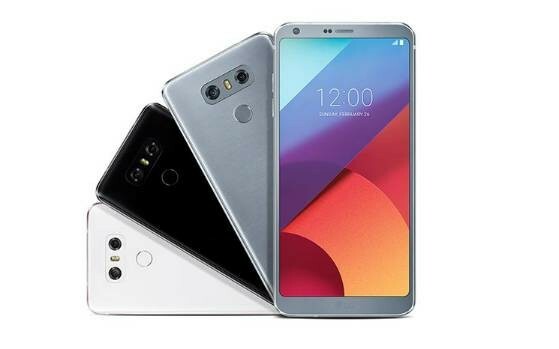 If you are looking to buy a smartphone, with excellent features and specs, from camera to processor, then you must read this article. Here we have brought a list of best smartphones that are appreciated by the users and have great features. Let's have a look over these smartphones. 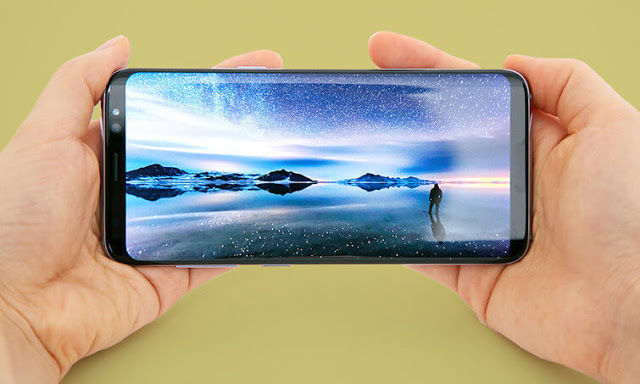 Display: The Galaxy S9 Plus comes with a 6.2-inch quad HD plus display with a resolution of 1440x2960 pixels. RAM and storage: 6 GB of RAM is given in the phone. 64 GB of storage is provided in the phone's base version phone. The phone's storage can be increased up to 400 GB. Processor, Operating System and Battery: The device runs on Octa-core Exynos 9810 and has an Android 8.0 ORIO operating system. The phone is backed with 3500 mAh battery. Camera: The phone features a 12MP rear camera and 8MP front camera.The phone can capture 12 images at a time and supports Video recording at 960 FPS. Price: The 64GB base variant of the Galaxy S9 Plus's is priced at Rs 64,900. Display: The phone spots a 5.80-inch display with a resolution of 1440x2960 pixels. Processor and Operating System: The device runs on 1.7GHz Octa-core Exynos 9810 with Android 8.0 Oreo operating system on top. RAM and storage: The base version of the phone is coupled with 4 GB of RAM and 64 GB of internal storage, which is further expandable up to 400 GB. Camera: The phone features a dual camera setup with a 12MP primary sensor and an 8MP front selfie camera. The phone can capture 12 images at a time and supports Video recording at 960 FPS. Price: The price of the Galaxy S9's 64GB base variant starts at Rs 57900. Battery: The phone is backed by 3000 MAH battery. 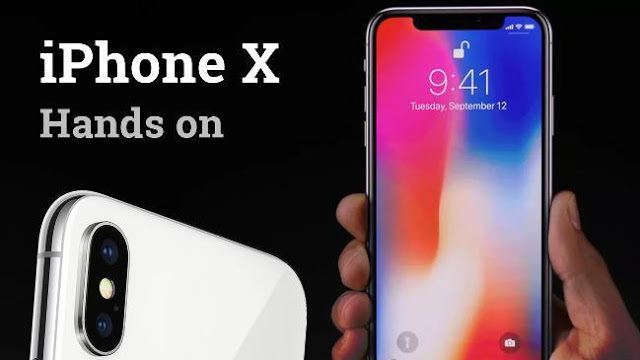 Display: The iPhone X features a 5.80 inches full view display, with a resolution of 1125x2436 pixels. RAM and storage: The iPhone X base model features a 3 GB of RAM and 64 GB of internal with no support for external storage. Processor and operating system: The phone runs on a hexa-core processor with A1 bionic chip installed on the top. Cameras: The phone features a 12MP rear camera and a 7MP front selfie camera. The phone simultaneously captures 3 photos at once. Price: The price of the 64 GB variant is Rs 95,390, whereas the phone with 258 GB storage is worth Rs 1,08,930. Battery: The iPhone X is backed with 2716 mAh battery. 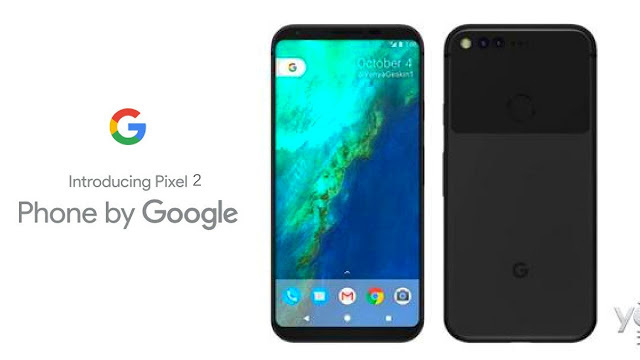 Display: The Google Pixel 2 features a 5-inch display, with a resolution of 1080x1920 pixels. RAM and storage: The Google Pixel 2 comes with a combo of 4 GB of RAM and 64GB of Internal storage. Processor and Operating System: The device runs on 1.9GHz octa-core Qualcomm Snapdragon 835, with Android 8.0 OS on top. Camara: The phone spots a 12-megapixel rear camera and 8-megapixel front camera. Price: The 64 GB storage variant of Google Pixel 2 is priced at Rs 47,999, while the phone with 128GB variant is priced at Rs 56,999. Battery: It has a 3000 mAh battery. Display: The phone spots a 6-inch QHD plus display, whose resolution is 2880x1440 pixels. RAM and storage: The Google Pixel 2 XL is available in two storage variants of 64GB and 128GB coupled with 4 GB of RAM. Processor and Operating System: The device runs on 64-bit Octa-core Qualcomm Snapdragon 835 and works on Android 8.0 operating system. Camara: The phone spots a 12-megapixel rear camera and 8-megapixel front selfie camera. 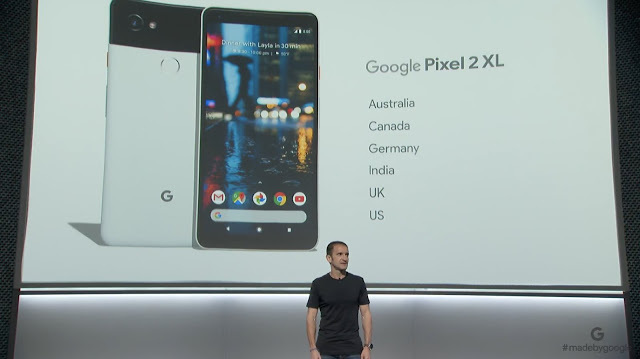 Price: The 64 GB storage variant of Google Pixel 2 XL is priced at Rs 54,999 while the phone with 128GB of storage is priced at Rs 63,999. Battery: The Google Pixel 2 XL is powered by 3000 MAH battery. Display: The LG V30 Plus features a 6-inch display, with a screen resolution of 1440x2880 pixels. RAM and storage: The phone is coupled with 4 GB of RAM and 128 GB of internal storage. Processor and Operating System: Device runs on Qualcomm Snapdragon 835 Octa Core processor. Its operating system works on Android 7.1.1 knot. Camera: The LG V30 Plus features a rear dual camera setup with a 16MP primary sensor and 13MP secondary sensor. On the front, the phone spots a 5 MP selfie camera. Battery: The LG V30 Plus is backed with a powerful 3300 mAh battery.